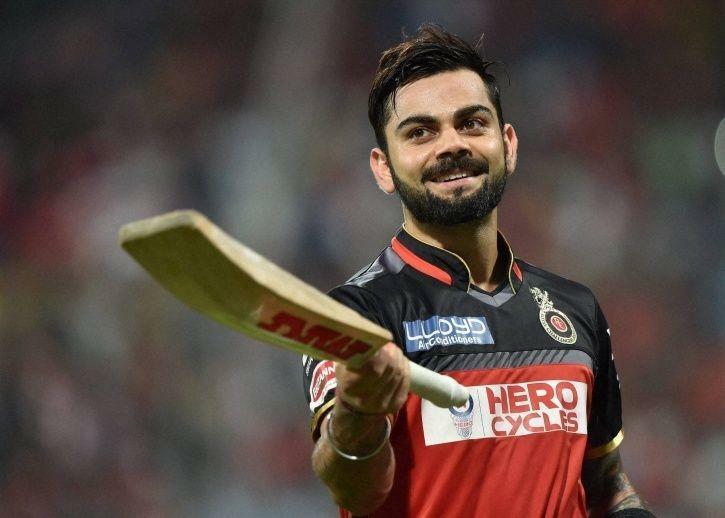 Royal Challengers Bangalore (RCB) skipper Virat Kohli got another record under his belt on Thursday as he became the second player in the history of Indian Premier League (IPL) to go past the 5000-run mark and the first one while playing for a single franchise. In 165 IPL games, Kohli also has four centuries beside 34 half-centuries under his belt, with an average of 38.46. Earlier on March 23, Suresh Raina had become the first batsman to score 5000 IPL runs. He is currently the highest run-scorer with the tally of 5034 runs from 178 IPL games. Star-studded Mumbai Indians (MI) were playing against RCB in Bangalore. Both teams lost their previous match so both teams wanted to register first win of IPL 2019. M. Chinnaswamy is small and batsman supportive so Mumbai requires a good start from Rohit and Quinton. Both were looking in good touch as both added 54 for the first wicket but Quinton got out for 23 while trying to play reverse sweep against Chahal. Then all eyes on Rohit but he got out for 48. Mumbai were 87 for 2 in 10.4. In 14th over Yuvraj Singh hits 3 consecutive sixes against Chahal but on the 4th ball he got out at the boundary. Mumbai losses their way in the middle as in 17.1 Mumbai were 147 for 7. But at the end, 14 balls unbeaten 32 from Hardik Pandya help his team to reach 187. Chahal was the pick of the ball as he registered his 2nd four-wicket haul in IPL. 188 always a big total to chase down so Bangalore required a good start from their new opening pair Moeen Ali and Parthiv Patel. Both were looking in good touch but while taking quick single Moeen Ali run-out for 13. Virat hits 3 consecutive fours in Bumrah’s over and Kohli added 40 runs with Parthiv. After losing Parthiv in 7th over Kohli and ABD partnership put RCB on driving seat. At one point it looks like RCB will win the match easily but then Bumrah came for his 2nd spell in this he took wickets of Virat & Hetmyer. But still ABD in the crease. RCB required 22 runs in last two overs and Rohit Sharma gave called his best bowler Jasprit Bumrah to ball 19th over but Bumrah only gave 5 runs and took the wicket of Grandhomme. In last over young Shivam Dubey hit the first ball for six to Malinga but then he use his experience and he only gave 4 runs in next 5 balls and Mumbai Indians beat Royal Challengers Bangalore by 6 runs. AB De Villiers remain unbeaten on 70. Jasprit Bumrah awarded by Man of the Match for his 4 for 20. Mumbai Indians continues their dominance against RCB. Yuzvendra Chahal took his 2nd four-wicket haul in IPL career. Chahal completes his 50 wickets at M. Chinnaswamy stadium. Virat Kohli becomes a 2nd player after Suresh Raina to score 5000 IPL runs. 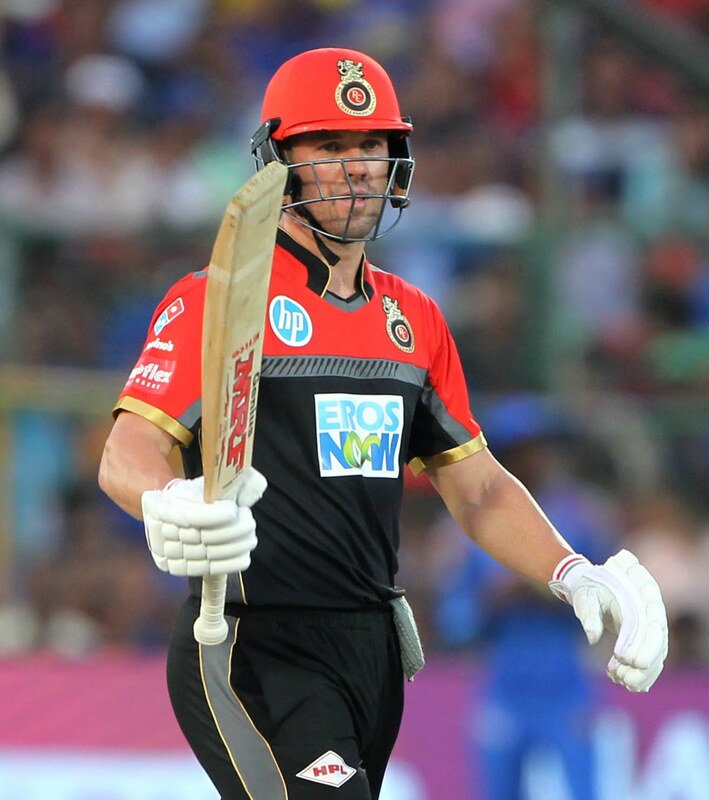 AB De Villiers become 10th player and the 3rd overseas player to score 4000 runs in IPL after David Warner and Chris Gayle.